Collins Booksellers - #Choosehappy by A. Lance Jaynes, 9781504386104. Buy this book online. #ChooseHappy is designed to be a Road Map to finding and living the Happy, Fulfilling life that each of us deserve and were born to live. The book shares the authors personal journey to reaching True Happiness. He shares his adversites faced, and overcome along his journey. He teaches well as practical lessons that his struggles taught him. The book shares common obstacles that hold us all back from reaching our happiest life. #ChooseHappy shares ancient, yet still applicable wisdom passed down through the centuries by great teachers. 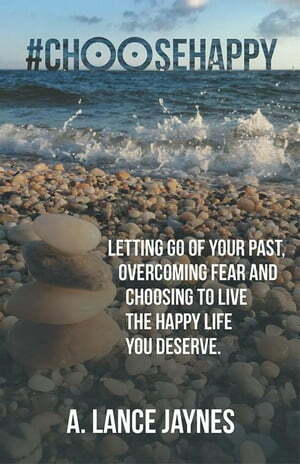 It also shares proven techniques, that if implemented into your daily life, can teach you how to let go of your past. You can learn to fully accept and love yourself, and live in the present moment, which is the Only Place real happiness exists. We make life too damn hard, it doesnt have to be! Happiness IS A Choice! If today were your last day alive, are you truly happy with your life? If not, do not wait a day longer. Our birth certificates do not come with expiration dates! Tomorrow may never come, so if you want the best life you can have, Choose More! Choose the happiest life you were born to live today! #ChooseHappy!